Ships today if you order in the next 5 hours 40 minutes. 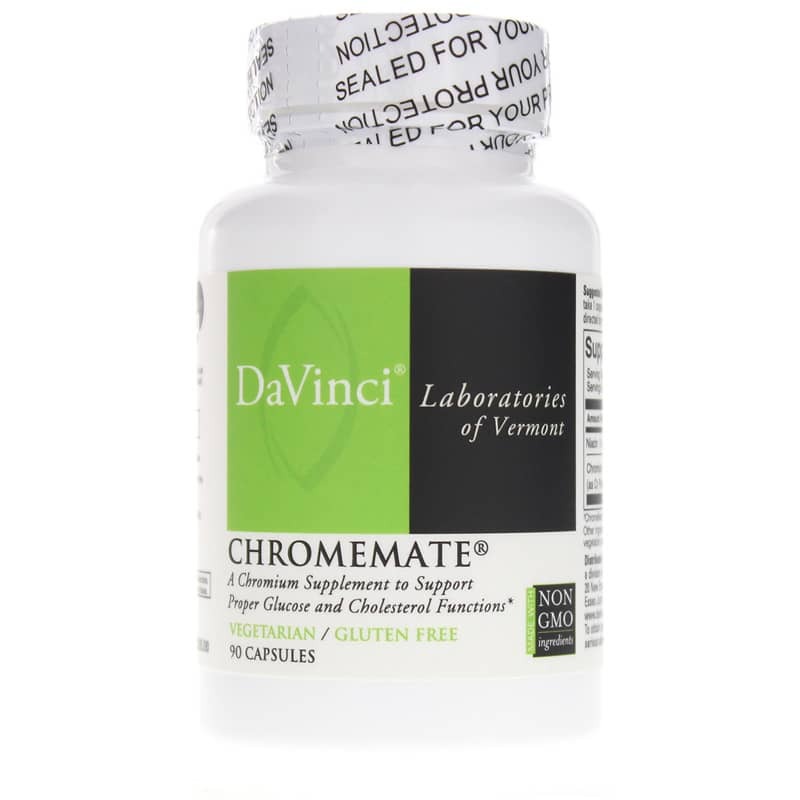 ChromeMate from DaVinci is a chromium dietary supplement that supports maintaining glucose and cholesterol within normal ranges, as well as weight management. The average American diet is chromium deficient. And inadequate chromium is associated with insulin resistance, which can produce in gradual, unfavorable changes in body composition. Insulin is actually the primary, anabolic hormone and plays a part in thermogenesis, or heat production in the body. 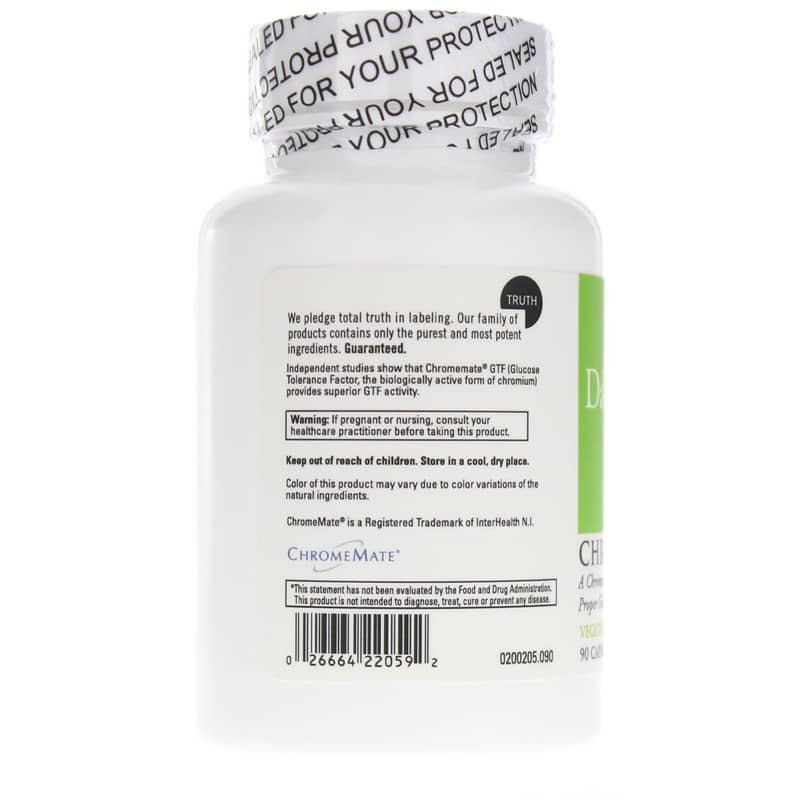 It is significant that ChromeMate® uses chromium polynicotinate, as this is the most absorbable form for the body. Polynicotinate ensures bioavailability. Chromium benefits include that it is a critical cofactor for glucose control, helping to transport blood sugar (glucose) into cells. It is also a co-factor in metabolism of sugars, carbohydrates and proteins ensuring optimum utilization as energy opposed to being stored as fat. Other Ingredients:microcrystalline cellulose, vegetable cellulose (capsule), vegetarian leucine. 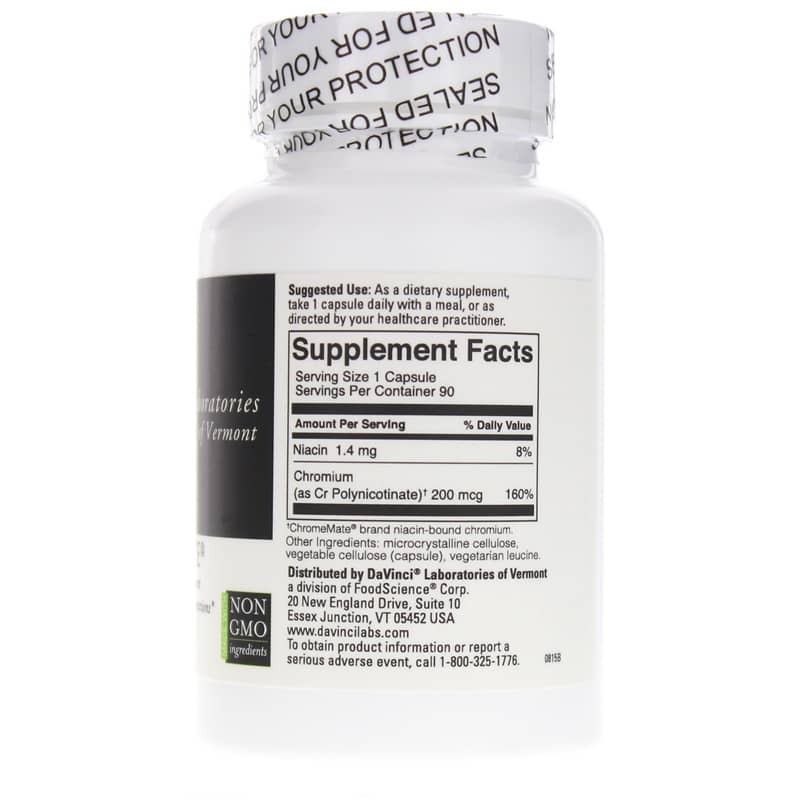 Adults: As a dietary supplement, take 1 capsule daily with a meal or as recommended by a healthcare professional.